NOT SURE WHICH BOARDSPORT IS FOR YOU? 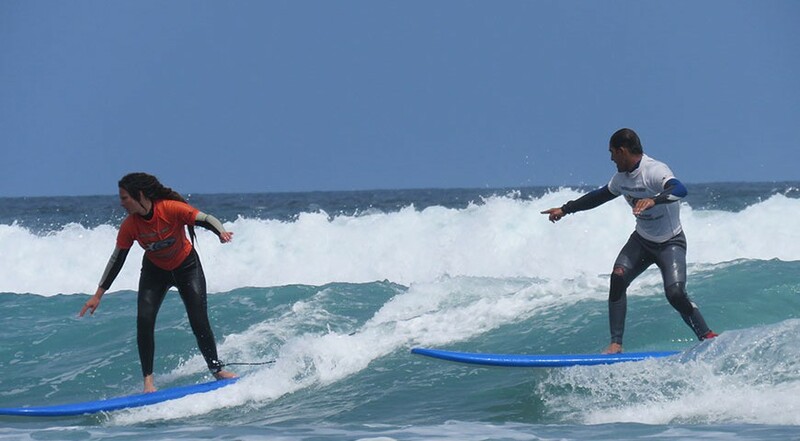 The aim of the combined surfing and kiteboarding holiday in Lanzarote is to give people a safe and fun introduction to both surfing and kitesurfing. At the end of the sessions you will have learned the fundamentals of both boardsports and you can decide which one you prefer and would like to pursue further. Be warned both surfing and kiteboarding can be addictive! 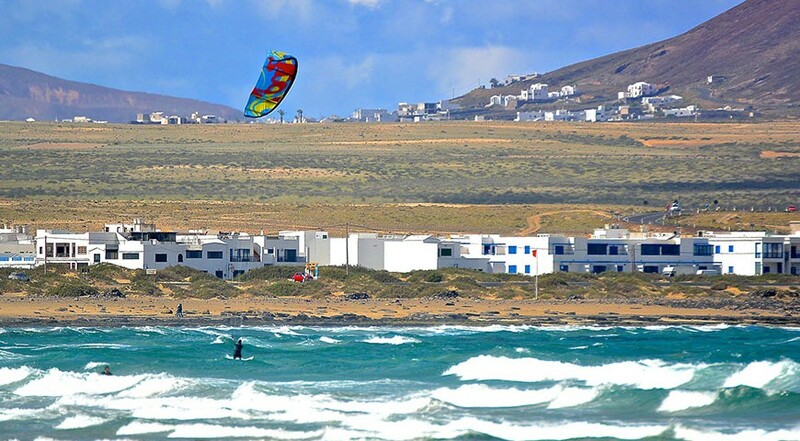 The Surfing and Kiteboarding Academy in Lanzarote is located in La Caleta de Famara and all surfing and kitesurfing lessons take place on the beach of Playa Famara. • All equipment incl. : Kites, boards, harness, helmets, life vest, wetsuit etc. Please contact the Zoco Team for a tailormade quotation. Please note places are subject to availability, prices are per person and all prices are quoted in Euros (EUR). NOTE: Flights are not included in price, check out our Getting There guide for low cost flights to Arrecife Airport (ACE). The Lanzarote Surf & Kitesurf Combo Camp is open all year and places are subject to availability. You can join a course any day from Monday to Saterday (Closed Sundays). Here’s a quick overview of what to expect from a Surf Session. 10:00-10:30 Load boards onto trailer and sort out wetsuits, head off to the beach, select a suitable spot for the lessons. 10:05-10:15 Everybody chips in to off-load boards etc and set-up camp on the beach for the day. 10:15-10:45 Get the surfing theory down including important beach safety. 10:45-11:15 Find out who’s a goofy and who is regular and start practicing paddling and popup/stance on the beach. 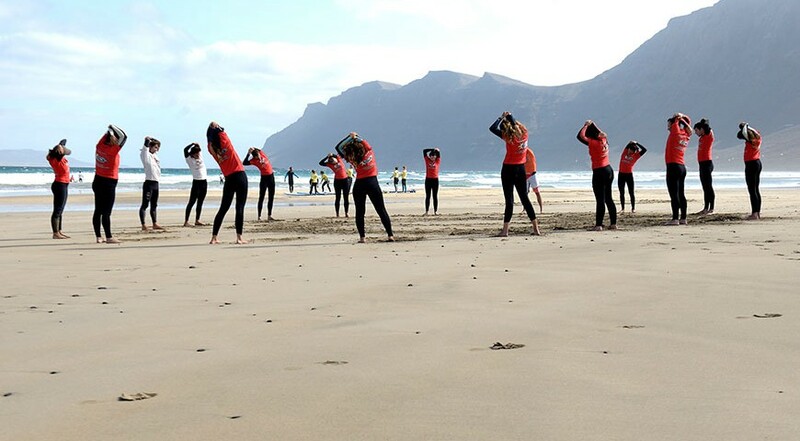 11:15-11:30 Warm-up, stretching and simple exercises on the beach. 11:30-13:00 Demonstration of proning, handling board, paddling and catching waves! Then it’s over to you. Surfing under the personal guidance of the surf instructors offering encouragment and correcting any mistakes/bad habits. 13:00-13:30 Refuel with a picnic lunch and relax on the beach topping up your tan. 13:30-15:00 More stretching in preparation for the 2nd session. Free surfing under the supervision of the surfing instructors. Here’s a quick overview of what to expect from yor first Kitesurfing Session. Previous Day: Check weather/wind prediction for next day. Arrange time to meet at kiteboarding academy next day. Typical Session: Meet at kiteboard center, prepare and load kitesurfing equipment into vehicle. Head into the desert area next to the sea for 1st kite session. Off-load kites and other equipment. Learn how to set-up the kite equipment. Detremine wind direction and learn about the wind window and how kite reacts. Then it’s onto more theor a pre-flight check and then onto the exhilaration of launching and landing the kite by yourself. Fell the power and adrenalin kick in! Then it’s onto learning how to pilot the kite in the power zone, rigging and adjusting a 4 line kite and piloting with a harness. End of session: Recap on what you have learned, all help pack up the equipment and the head off back to the kite center. 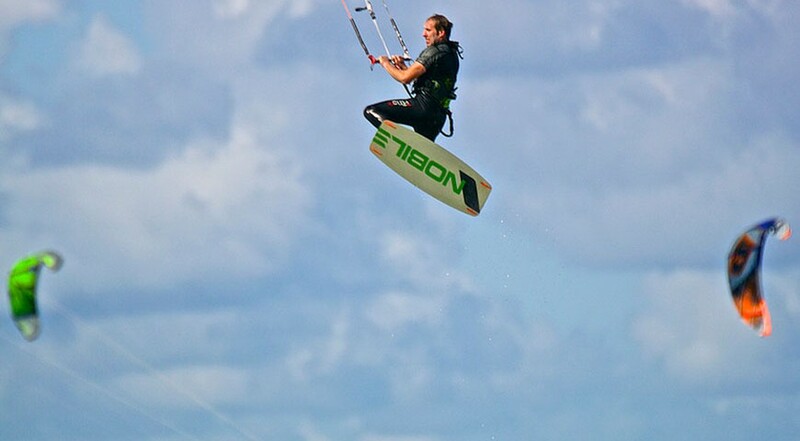 Hopefully by this point you will be flipping out totally hooked on kiteboarding and can’t wait for the next session! 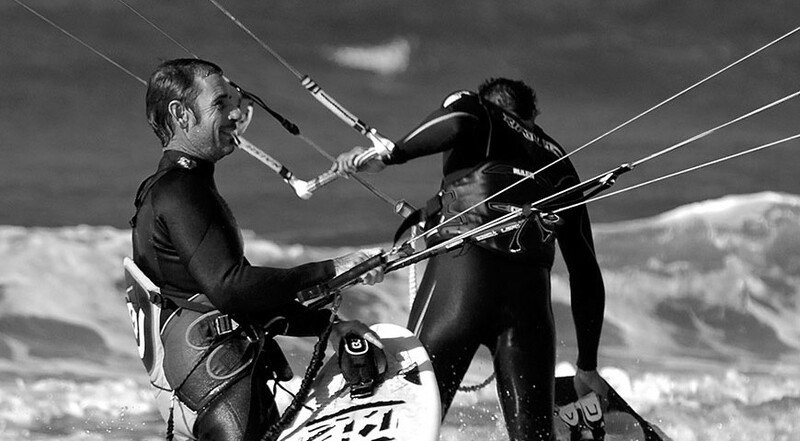 Back to your accommodation and a hot shower to ease those aches and pains from a hard days kiting. 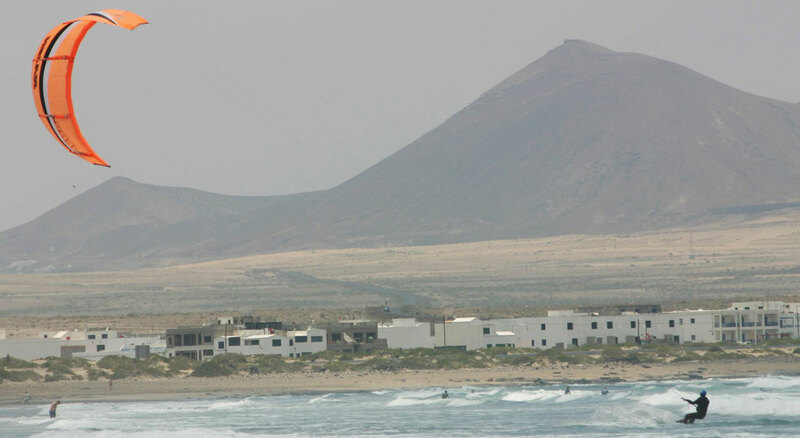 The beach of Famara is internationally known for its excellent conditions to practice kitesurf. Famara is already a venue for the Spanish championships, and it is expected that world championships will be held here in the coming years. All courses are given by trained kite instructors IKO / FKI in small groups of 4 participants, so you can learn quickly and safely.